Hello! We are Niko LaTorre and Omar Kendall, former producers on League of Legends’ Champions team. 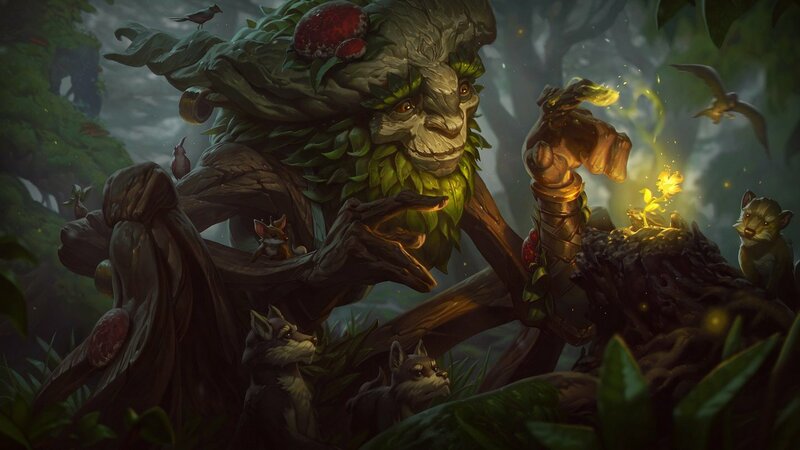 We’d like to share how the Champions team created Ivern using Agile methodologies—an effective and sustainable way to deliver creative products to players. First things first: What’s a Champions team? It’s the team that takes champs like Ivern from the drawing board to the Dragon Pit. They create and update champions for League of Legends. The work is a complex and creative process because each champ must be deeply emotionally engaging for players and distinguish itself against the existing roster. To hit the mark, the team must consistently achieve a level of creative work that drives resonance—a challenge with objectives that are often difficult to articulate. Plus, it requires gameplay and thematic exploration, and the flexibility to make changes when new information arises. This is where the waterfall approach commonly used in game development leaves the Champions team under water. Cross-functional collaboration: A multi-disciplinary team allows for a holistic perspective and thus a tighter, more cohesive product. Product vision: A vision statement serves as our north star that informs creative decisions without relying on an individual as the gatekeeper of good. Scrum rituals: These touchpoints remind us to regularly check in with each other so we’re always up-to-date and can respond to changes quickly. Let’s dig a little deeper into each aspect below. Agile advocates for cross-collaboration between developers. The Champions team embraces that idea as a hyper cross-functional team. So hyper, in fact, that it’s comprised of fourteen different types of developers (designers, writers, artists, engineers, QA, producers, etc.) working towards one goal. This methodology is perfect for capturing different perspectives to help us blow past the typical blockers we’d encounter when we used waterfall. 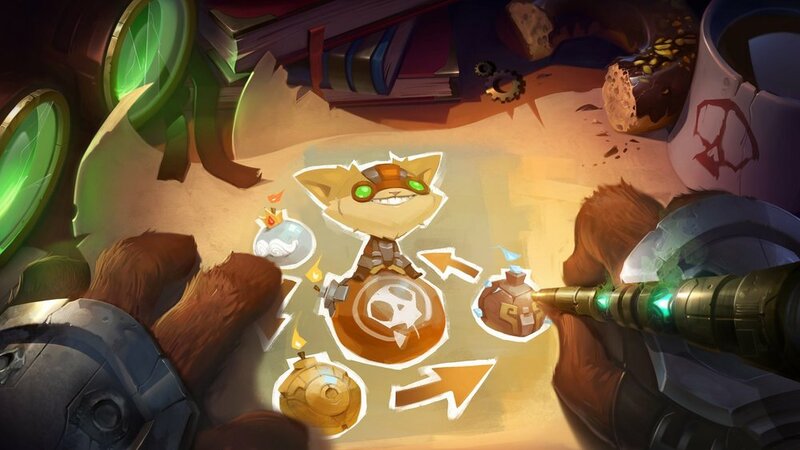 For instance, with magical champs like Ivern, understanding what their magic looks like is usually more important than how they move when casting that magic. Collaborating cross-functionally allows us to explore spell effects before animations are locked and it inspires gameplay ideas. As you can see in this early concept video, by closely collaborating during Ivern’s creation, we could explore his passive’s look without waiting for an animation. Sometimes these different perspectives can lead to different interpretations—which can cause difficulty. Agile practices such as product vision and Scrum rituals (outlined in the next couple of sections) help us manage this. Below is an example of some twenty second sketches created by the team, each illustrating a different portrayal of the champion Ivern. In traditional video game development, there’s usually an up-front period of time for creating formal, explicit, and rigid product descriptions. This explicit rigidity can build confidence in the direction, but limits the product team’s ability to use learnings during development to inform better product decisions. The Champions team adopts the more general problem space framing concepts from Agile to help define champion product goals and direction, using that flexibility to adapt the product as needed. One of the deliverables generated during champion discovery is a vision statement (what we call “The Dream”). The vision statement describes the world (or in this case, the champion) in its future state, once the team’s work is complete. The Dream aligns the team and establishes a north star to guide decisions toward a unified, unique space. These follow a user-story format and help us get into character. 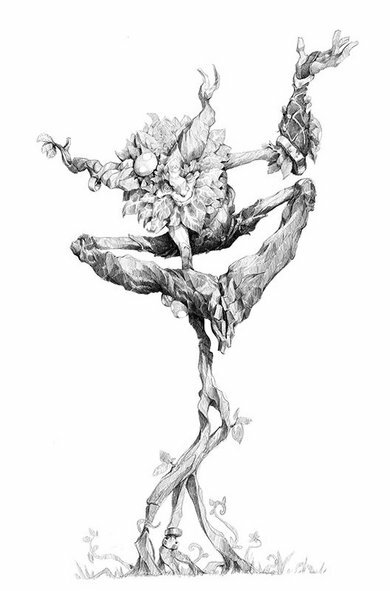 Ivern is a light-hearted and peculiar dryad who is part man, part nature. He roams the world, cultivating his surroundings, and imparting his good nature and unique view of the world to anyone he encounters. And this is how we tie it all together. To maintain alignment on the product vision on a cross-functional team, we tailor Scrum rituals to organize around the work and continuously improve our development processes. Sprint Planning: Okay, okay so here’s one waterfall you can chase. There’s an aspect of champion production that can’t help being waterfall. A concept artist draws a picture that a character artist uses to create a model, and an animator then takes that model and creates motion. We try to be smart about which elements of development we choose to prioritize, parallelize, and ultimately collaborate on. Stand-Ups: Daily stand-ups allow us to communicate updates and blockers to the whole team—a necessity given how tightly our work is integrated. Even small tweaks have a cascading effect. For instance, if a gameplay designer changes the length of a spell by a millisecond, the timing can change the mood and clarity of the spell. The sooner the team knows a change is happening (and why), the sooner they can react and make sure the other assets (e.g. animations, spell effects, sounds) support the gameplay needs. Sprint Review: This is a simple review where we go over planned work and give each other feedback based on the champion’s vision statement and other product goals. Playtest: At least once a sprint, we playtest the champ in a real game situation, and immediately follow it up with a team feedback session (designers and QA analysts do this twice a day!). These playtests give the whole team a more comprehensive perspective on how it feels to play as, with, or against the champion. The champion’s product goals should be apparent across all experiences—playtests are the only way to truly validate that ahead of release. Mid-way through Ivern’s development, a team member carried his team to victory with almost 20 kills with Ivern! While it was exciting to see our champion obliterate the enemy team, we knew it wasn’t in line with his product vision of being a benevolent druid. Ultimately, we nerfed him. Evaluation Review: This is where we look at the champion as a whole and evaluate it against the specific fantasy and our product-wide acceptance criteria using a Likert scale (Ghostcrawler’s dev diary on Successful Champions goes over some of these). By quantifying and capturing our evaluation, we can see which facets of the champion are in line with our standards and which could use more refinement. We use this assessment to prioritize our work for the rest of development. Retros: Even though the team’s made almost 140 champions over the course of ten years, retros are conducted every sprint to improve our process. Our learnings give us confidence to take on bolder champion ideas, which introduces new challenges to how we work. Retros force us to keep asking what is and isn’t working and make changes to keep creating resonant champions. We believe that these Agile tools help the Champions team create awesome player experiences that push the boundaries of what’s possible in League of Legends. We’re confident that the Agile mindset could offer equal—or even greater—gains if applied to other creative endeavors. In this two-part article series, you’ll learn how to help your product teams make the most of their time by changing how they define and prioritize their work. Part one will cover goal setting and work definition, or how to set your team’s sights on a problem and start breaking it down. 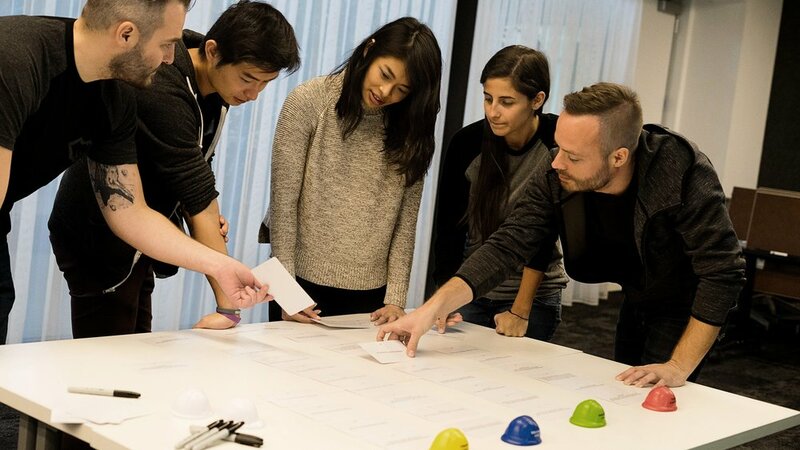 What happens at Riot when “one-size-fits-all” Agile-defined roles no longer meet our needs? We devise a flexible, human-centric, team leadership model. And we use hats; a bunch of tiny foam hats.